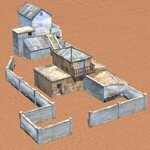 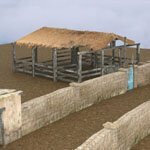 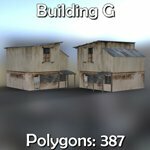 The second set of buildings to build your own town and village. 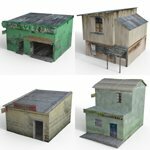 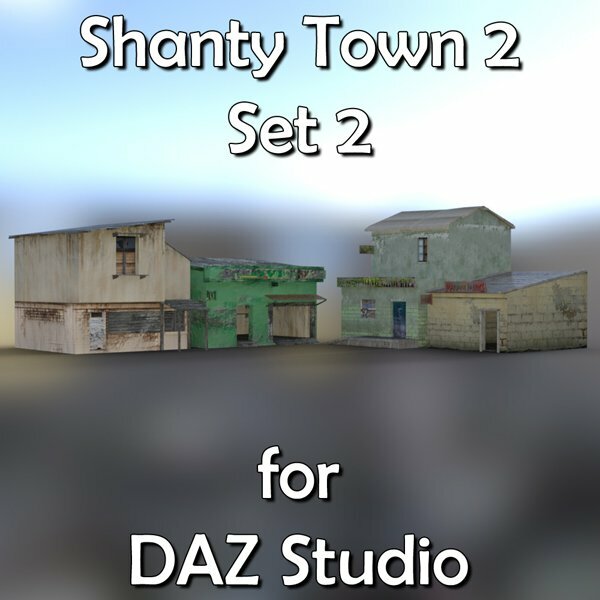 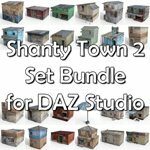 Includes 4 models which also work nicely with the other Shanty 2 Building Sets and the Shanty 2 Town Blocks. 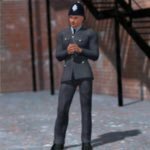 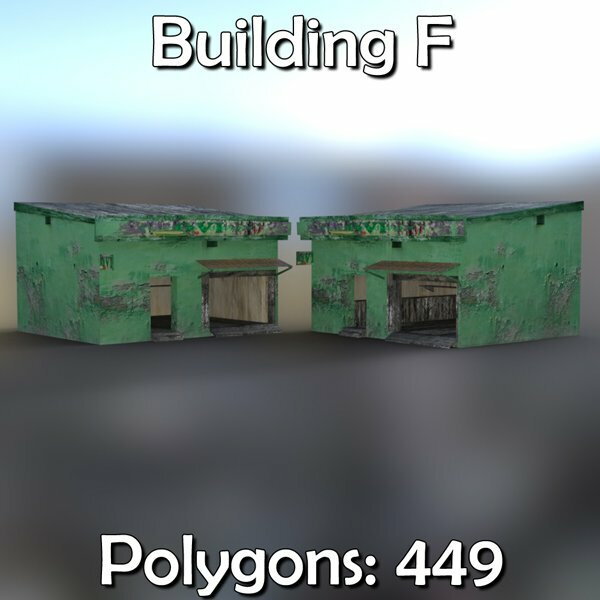 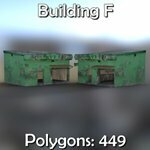 - Building F, at 449 polygons. 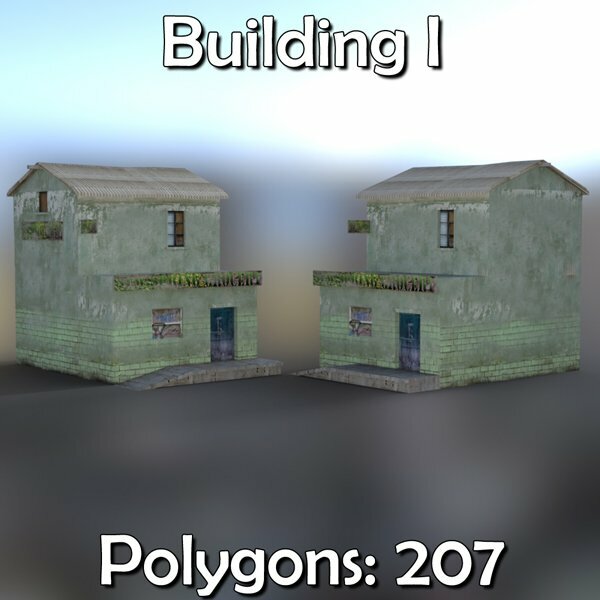 Includes a ceiling and 4 walls. 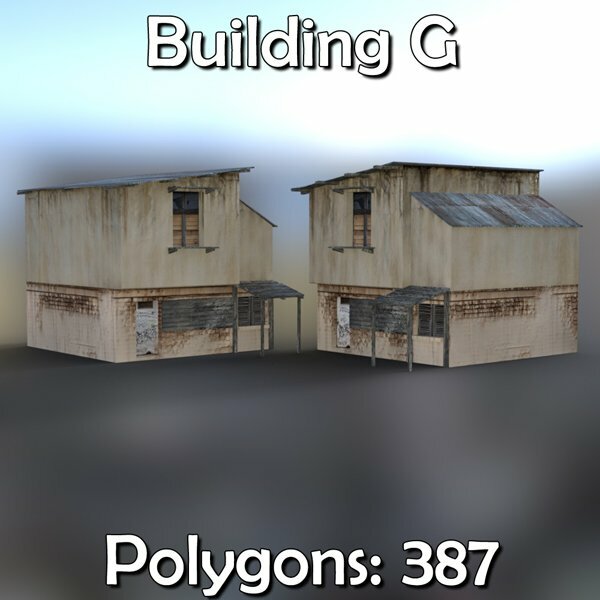 - Building G, at 387 polygons; no moving parts and no interior. 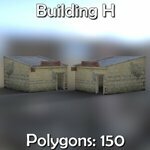 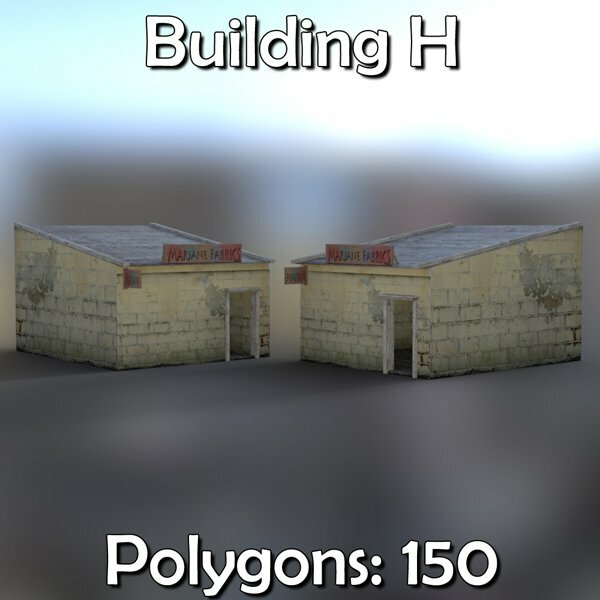 - Building H, at 150 polygons. 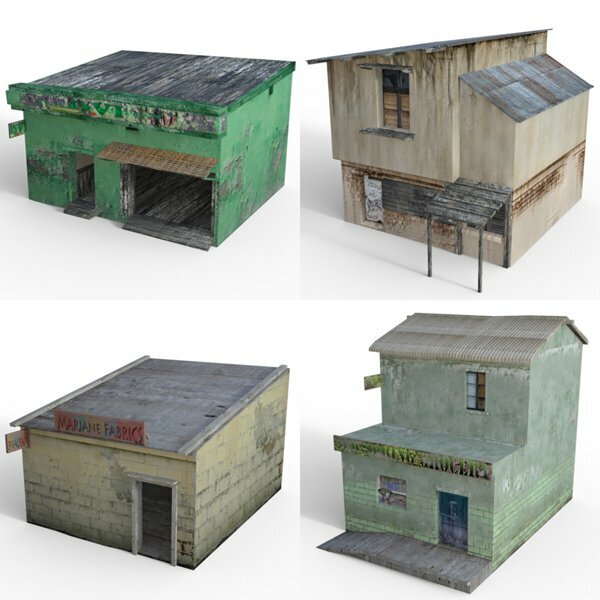 Includes a ground-floor visible interior but no moving parts. 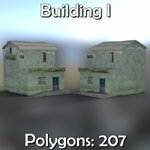 - Building I, at 207 polygons; no moving parts and no interior.